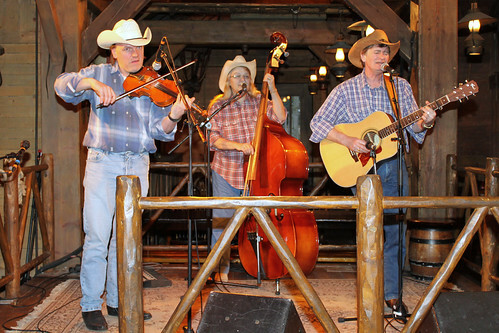 Usually near Cowboy Cookout BBQ in Frontierland, Hoedown Showdown are the resident country and western band of Parc Disneyland. Stand and listen to some of the classic country themes, or make a request, and it might just get played! Sometimes this group is known as The Cactus Country Band.